With HP’s Remote Graphics Software (RGS), you can remotely access and work with your workstation-installed applications from a mobile tablet. Image courtesy of HP. Previously, remote computing eluded engineers, mainly due to the compute-intense 3D modeling software that they use. Software programs for enterprise resource planning (ERP), customer relationship management (CRM) and product lifecycle management (PLM) have, for the most part, been re-engineered for remote computing and the cloud. It’s a reflection of the general tech consumers’ preference to work from anywhere, on any device. While workstations featuring RISC chips and Unix once owned the number-crunching and graphically intensive engineering fields, “Wintel” machines are now crowding the playing field and the horizon. The Unix boxes that have dominated FEA, CFD, CAD/CAM and 3D modeling have long been priced out of the reach of individuals and engineering consultants, as well as many small-to mid-sized companies. With Wintel, however, manufacturers are putting together solutions averaging at or even under $5,000. But the volume of data in 3D CAD was a difficult challenge to overcome. It’s one thing to transmit and interact with lightweight 2D images, alphanumerics and text strings in the cloud from a browser—but quite another to work with detailed 3D assemblies with hundreds or thousands of subcomponents in the same fashion. Early incarnations of cloud-hosted CAD (like the short-lived Alibre ASP in the ’90s) were hampered by unreliable connectivity and lag time, leading CAD users to conclude remote computing was not yet for them. But, the latest advances in virtualization technologies and hosting hardware are changing the outlook. Some workstation vendors now include technology components that make remote computing easier. For example, HP Z-series workstations come with HP Remote Graphics, which let you “access share, and broadcast your Windows and Linux workstation apps” to lightweight devices and mobile tablets. Under the brand NVIDIA GRID, GPU (graphics processing unit) maker NVIDIA offers hardware for hosting GPU-enabled virtual workstations. Remote computing for engineers is no longer a pipe dream, but has become a practical solution. Every virtual workstation is remotely accessible, but not every remote workstation is virtual. “Both the virtual workstation and remote workstation are in the data center. But with virtual machines, you add a layer of software to split up the resources [from a single piece of hardware] for multiple users. With a remote workstation, the user retains 100% of the resources in the remote machine assigned to him or her,” says Hector Guevarez, workstation portfolio manager at Lenovo. A remote workstation is supported by a real workstation located offsite. It’s usually a one-to-one setup (one machine to support one user), so the user has access to all the computing resources and attributes of the remote machine—CPU, GPU, memory, OS and preinstalled software. It’s no different from a dedicated workstation sitting inside a cubicle, except the hardware is located in the cloud or a server room far away. You communicate and control the remote workstation through some kind of network connection. 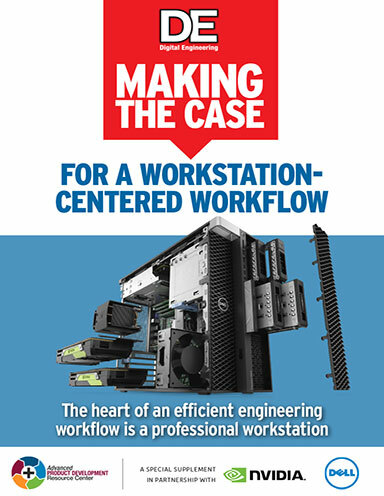 For example, workstation maker Dell currently partners with Teradici to offer what it calls PC over IP (PCoIP) solutions for a remote workstation setup. Because Onshape’s parametric CAD program runs from a browser, it eliminates the need for a high-end system traditionally associated with CAD software. Image courtesy of Onshape. A virtual workstation, on the other hand, doesn’t really exist. It’s created from the computing resources of a server designed to support a number of users. In other words, an IT administrator divided the CPU, GPU and storage capacities of a piece of hardware into the equivalent of several workstations, assigned to a number of users. With this one-to-many setup (one piece of hardware supporting many users), administrators can create different classes of virtual machines (VMs) for different users: for example, one class of VMs with just enough CPU and GPU horsepower for casual CAD users; another class of VMs with generous CPU and GPU firepower for heavy CAD and simulation software users. The setup is often referred to as VDI, or virtual desktop infrastructure. “The VDI lets you maximize the number of users [you can support] on a single piece of hardware, especially if the users don’t require a lot of computing resources. You may also allocate the hardware’s resources among only a small set of users so they could get a higher degree of computing capacity,” Guevarez says. A remote workstation is not easily expandable. Its computing power is finite; therefore, it’s important to select the kind of hardware appropriate for your usage paradigm. In a VDI, the administrator can allocate more computing resources to you or switch you to a more powerful VM when you need to tackle a rendering or simulation job. Of course, this approach works only if the backend hardware has additional resources to spare. If not, increasing resource allocation to one VM must be offset by a reduction of capacity in another. Because of this flexibility to adjust computing power, VDI can offer an economic advantage in firms with fluctuating numbers of contractors or projects with revolving computing needs. Bandwidth issues and poor interconnects can hamper both remote workstations and VMs. If the linkage between the users and the hosting hardware is not designed to accommodate high-speed data transfer, the remote machine and VMs will suffer from lag—a noticeable delay in the software’s response to the user’s commands. Lag-time issues could determine whether a workforce decides to adopt or reject a remote workstation solution. In some ways, the pros and cons of the private and public cloud mirror those of the remote workstation and the virtual machine. A private cloud is an internal network supported by a piece of server-class hardware owned and operated by a company, protected by the company’s firewall. A public cloud, on the other hand, is a virtual network hosted on a cloud service provider’s server, maintained and protected by the vendor. Some vendors like Penguin Computing offer hardware for hosting both private and public clouds. Whether used for data storage or computing, the private cloud is limited by the capacity of the hardware that supports it. If the private cloud can no longer cope with the increase in demand, it must be expanded with additional hardware. On-demand public cloud solutions—by contrast—are much easier to expand; they’re offered by vendors who maintain data centers with sufficient resources to host the needs of many clients. Adding capacity to a public cloud product typically involves paying for more CPU, GPU or server space based on the vendor’s service plan. Firms with IP (intellectual property) sensitivity tend to favor private cloud solutions because they have the final say in security measures. Startups, small businesses and mid-sized firms will more likely use public clouds because the solutions usually don’t require an upfront investment in hardware, payment is incremental and the capacity can be adjusted based on project needs. SaaS, or Software-as-a-Service, is typically delivered through a browser and sold via subscription. But not all subscription software is SaaS or browser-based. The newcomer Onshape, founded by former SOLIDWORKS executives, exemplifies SaaS CAD. Its flagship parametric modeling program is delivered from a browser and sold as a monthly subscription. Big name design software vendors like Autodesk, Siemens PLM Software, Dassault Sytèmes and PTC offer some full-fledged 3D CAD software under subscription licensing, but they’re not browser-based solutions. To use them, you must install the program on a local machine. Therefore, typical hardware and system requirements still apply. The SaaS model has also crept into the simulation and computer-aided engineering (CAE) market. Looking for a way into a market dominated by established vendors, relatively new vendors like SimScale set themselves apart by introducing cloud-hosted, browser-based CAE products, sold via subscription. But in CAD and CAE, SaaS is not yet the norm, like it is in enterprise resource planning (ERP) and customer relationship management (CRM) markets. Some new vendors in simulation, like SimScale (shown here), deliver their solution from a browser. Image courtesy of SimScale. The emerging CAE app vendors, such as AweSim, also suggest CAE’s migration to the on-demand model. By offering solution packages that contain “domain-specific knowledge, specialized software and computational resources,” AweSim appeals to manufacturers seeking a fast track to simulation adoption. “Our software services free end users of all the non-modeling and simulation tasks involving running such software locally, such as maintaining a license server, applying operating system security patches, installing application updates, and ensuring data is backed up,” points out Alan Chalker, director of AweSim. One appeal of SaaS is the flexibility in hardware. 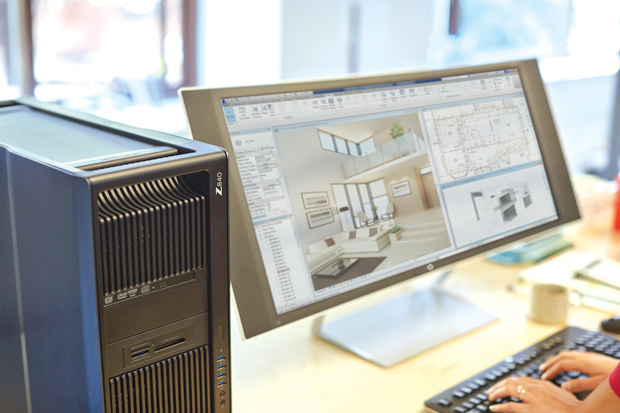 With a standard desktop CAD and CAE program, you need a professional workstation to get good performance. 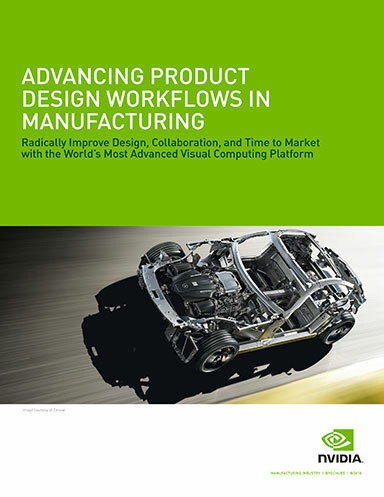 Some high-end CAE programs can push the limits of even a top-of-the-line workstation. With SaaS, you only need a standard web browser to run the software; therefore, you may choose to run the software from a mobile tablet or consumer PC. The Achilles heel in SaaS is bandwidth—the data pipeline connecting you to the cloud-hosted software. Previously CAD vendors argued SaaS CAD couldn’t match the experience of desktop-installed CAD. But vendors like Onshape disproved them. The key in SaaS CAD or CAE is robust compression and caching algorithms that allow graphics-intense program components to be delivered over a standard internet connection with no noticeable lag time. The latest phenomenon is the rise of vendors who offer on-demand access to hardware. Rescale offers what it calls a “turnkey platform for running high-performance computing and simulations in the enterprise.” It targets companies in automotive, aerospace, oil & gas and other industries that routinely run complex simulation jobs, but may not want the burden of owning and maintaining the necessary hardware infrastructure to support such workflows. Others like NaviSite and Fra.me offer what’s called Desktop-as-a-Service (DaaS) solutions, starting from as little as $12 per user per month. Because the purchase price of a professional workstation is usually around $1,500 to $2,500, the on-demand virtual machine stands out as an attractive option. IP sensitivity, security concerns and general distrust of the cloud currently keep many engineers from on-demand hardware, virtual machines and browser-based products. But their cost-effectiveness may outweigh the risk factors—real or imagined.